Hey Dolls! I hope you all had a very Merry Christmas. In the run-up to New Year's Eve the sales have been absolutely crazy. Get a cup of tea and switch on your laptop and avoid the queues and chaos. Online shopping will be your lifesaver this week, and we have done all the hard work for you by picking out some of the best bargains! In the sales you can think short term and long term. You might see something here that would be nice for a night out very soon or something that might be perfect for your summer holidays. Whatever the occasion, there are definitely some serious bargains out there at the moment! Happy shopping & let me know if you pick up any of these gorgeous pieces. This frill jumper from River Island is reduced from €40.00 to €18.00 and is available in sizes 8 and 10! Super comfy with a girly, frilly touch! Shop here. This simple red dress from New Look is also available in black and would suit any occasion. It's only €16.00. Shop here. Every girl needs a leopard print coat! This one is reduced to €49.99 at Zara! Shop here. Jazz things up for New Years with this metallic cami top for under €10! Shop here. This gorgeous midi dress is also under €10! Bargain! Shop here. Keep it comfy with this beautiful knit dress that you can dress up or down! Shop here. 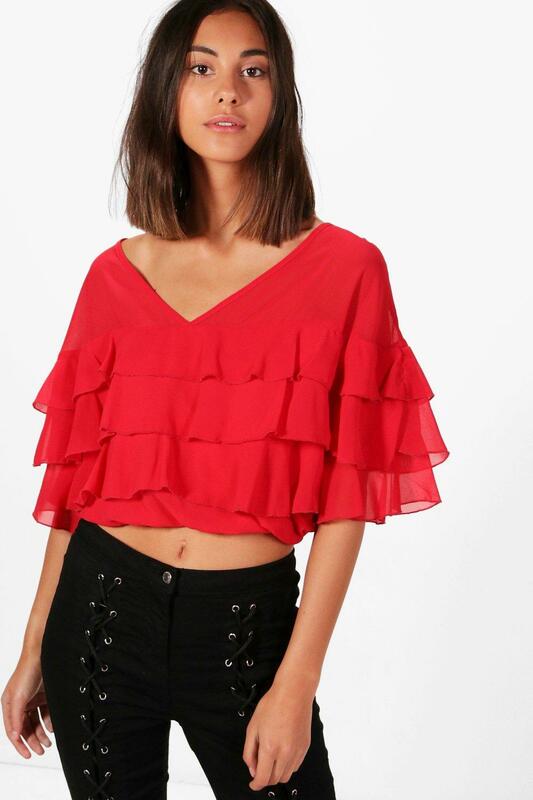 This frilly red top could save you on so many unplanned nights out, perfect with jeans or leather look pants! Shop here. This culotte jumpsuit could be worn time and time again with different shoes and accessories. It is cheap as chips. Shop here. Looking for a new biker jacket for a fraction of the price you would usually pay? Shop here. 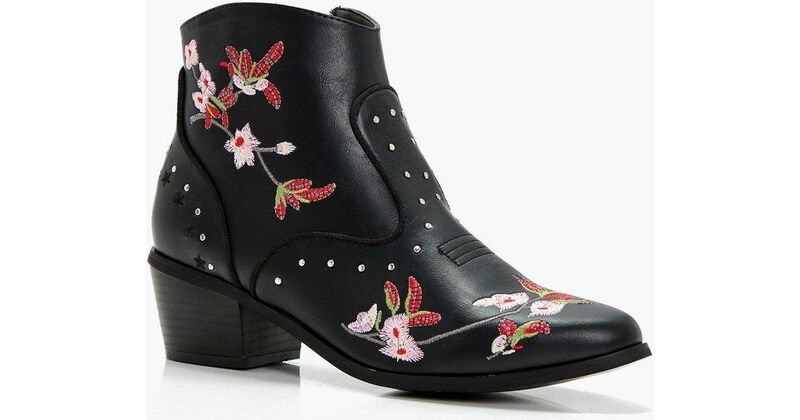 This embroidered boot is seriously cheap and would be gorgeous for springtime! Shop here. 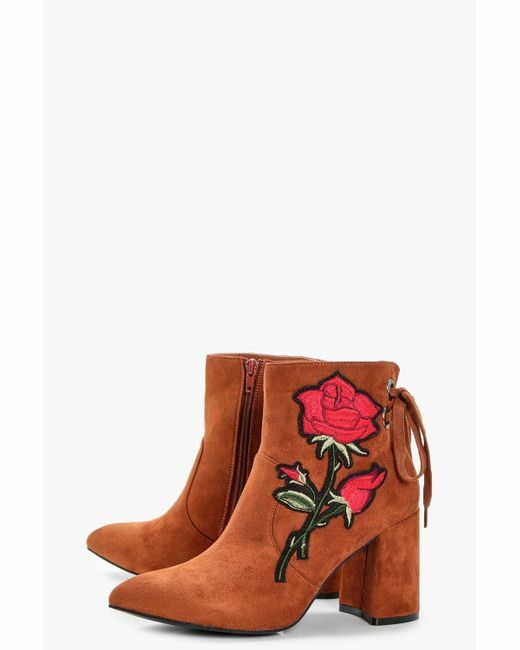 These embroidered brown heeled boots are also gorgeous for spring/summer. Shop here.